Officers have been searching for him, but need the public’s help. 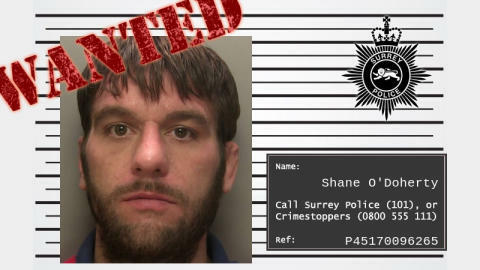 O’Doherty, 34, is white, of athletic build, around 6ft 2 inches tall, has brown eyes and brown hair and is known to frequent Redhill, Reigate and Horley. If you know where he is, call us on 101 and quote reference number 45170096265.